Please find upcoming information and events that may be of interest to you. 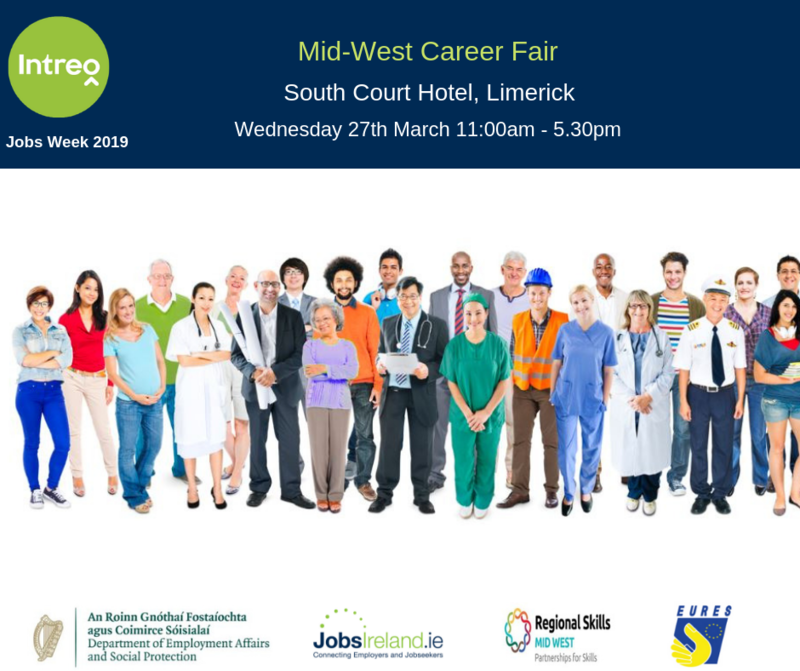 As part of Jobs Week 2019 the Intreo Mid-West Career Fair will take place on Wednesday 27th March from 11am-5.30pm in the South Court Hotel, Limerick. 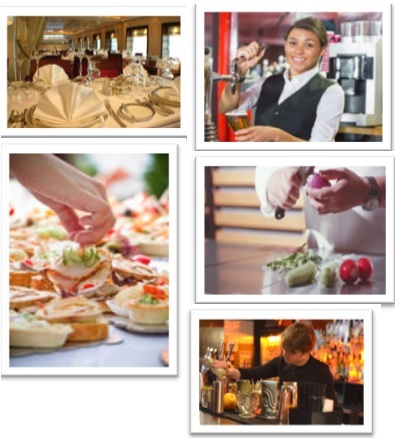 Interested in returning to work? Interested in Healthcare as a potential career? 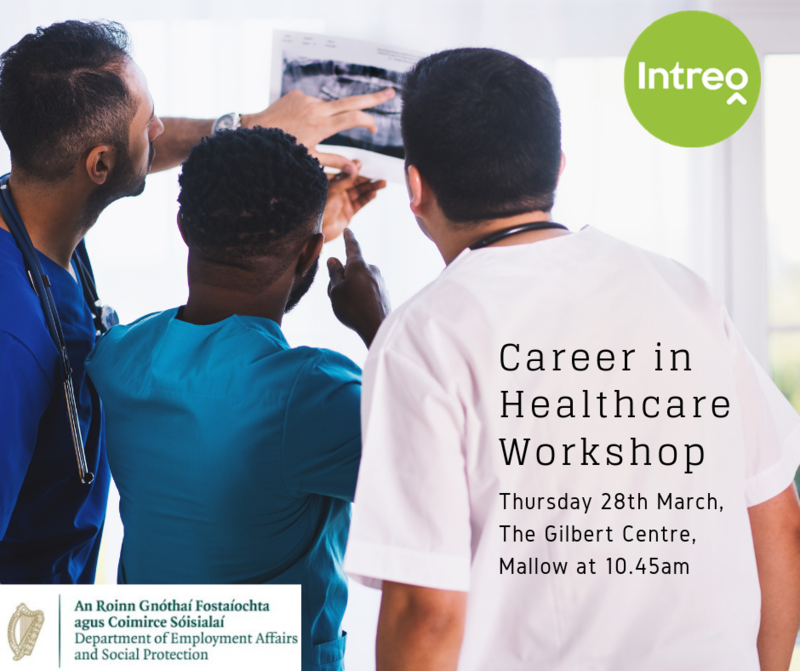 Find out about training & employment options (full-time, part-time & flexible working hours) in the Healthcare Sector at a Workshop on Thursday 28th March 2019 at The Gilbert Centre, Mallow at 10.45am. on Thursday 28 March, 10am - 4pm. 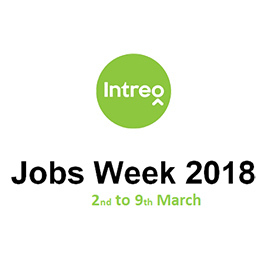 Jobs Week 2019 will take place from Monday, 25th-29th March 2019. 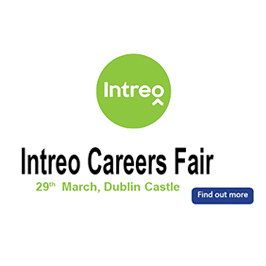 It is a great opportunity for jobseekers and employers to connect and avail of the range of supports and services offered by Intreo. 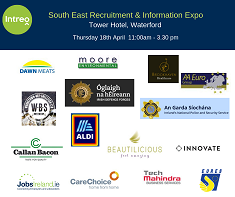 An information event on Finance and Supports for established businesses Wednesday, 6th March in Radisson Hotel Athlone 11am – 2pm. Mr Price are currently looking for warehouse operatives to join their warehouse team in Athlone. 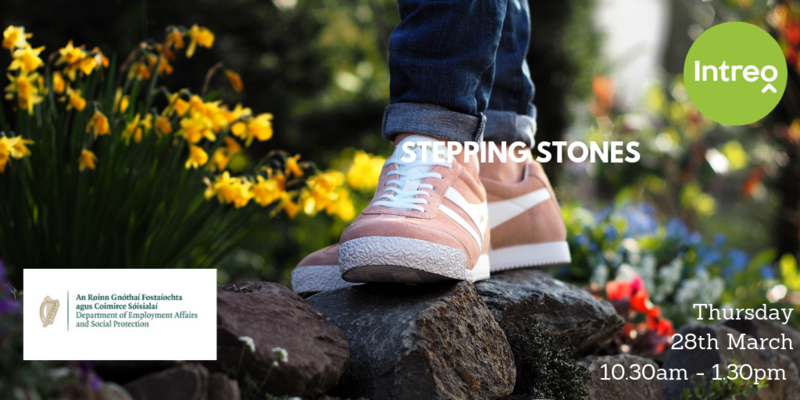 Please contact us if you have any feedback or questions.